Interest rates have moved up slightly over the past week and a half. Last week the Mortgage Backed Security market closed trading down – 39 bps and so far this week the MBS market has traded down -18 bps. This is a somewhat normal pull back after interest rates had improved over the past 2 weeks. Investor took the gains and sold. We are seeing a level of resistance that most investors will not go above, which makes it difficult for interest rates to improve below a certain level. There are 2 major events this week that will likely cause a lot of volatility in the interest rate markets. The Federal Open Market Committee’s (FOMC) meeting is Wednesday and investors will be listening intently for any new information on the FED’s time period for tapering it’s bond purchasing program. On Friday, the July employment report will be released. I maintain that it is safer to lock than float interest rate pricing. Unless we see the FED definitively extend its bond purchasing program or very poor economic performance reports – rates will not likely go much below their current levels. Interest rates improved for the second straight week. The Mortgage Backed Security Market closed up + 81 bps, bringing us back to pre-4th of July level pricing. On Wednesday, Ben Bernanke testified in front of Congress that the Fed’s tapering of it’s bond purchasing program was not “imminent”, but that the FED was monitoring the economy. When the FED feels the economy is where it needs to be, then the FED will begin to end it’s stimulus. This helped the markets because many investors felt the FED was planning on slowing down it’s bond purchasing in September. I still believe the FED will slow down the stimulus in September, unless some event pulls back the forecast of the economy. I expect rates to be relatively calm until the July unemployment report. These employment reports are huge moving forward, and will likely be one of the key determining factors in the FED’s decision to slow down it’s bond purchasing program. The July employment numbers are released next Friday morning. I am recommending to lock on any improvement in rate pricing. Interest rates moved slightly higher before the 4th of July. On Friday, interest rates had their largest one day increase in over 10 years. Rates ended the day almost .5% higher than Wednesday’s close. The June employment report showed higher than expected job creation – further supporting the belief that the economy is recovering. The Mortgage Backed Security market reacted swiftly, closing Friday trading – 200 bps, and closing the week trading down -255 bps. On Monday, we did see some pull back in the markets with the MBS market closing Monday + 93 bps, helping take back some of the losses on Friday. Interest continue to move higher with improved signs in the economy, the FED ending it’s stimulus package, and investors having a small appetite for fixed income securities. This trend will likely continue unless we have a major economic drawback or the FED changes it’s plans. On Wednesday, the FED minutes from June 19th will be released and Ben Bernanke will be giving a speech. Many suspect that the FED didn’t think rates would move so high so quickly. Ben Bernanke may be doing a little damage control, trying to keep interest rates from continuing to spike. Regardless of what he says, it will be difficult to retract what he has already stated. I expect some small improvements in rate pricing this week due to investor pull back that usually happens with the market goes one way very quickly. My recommendation is to lock on any improvement in the market. 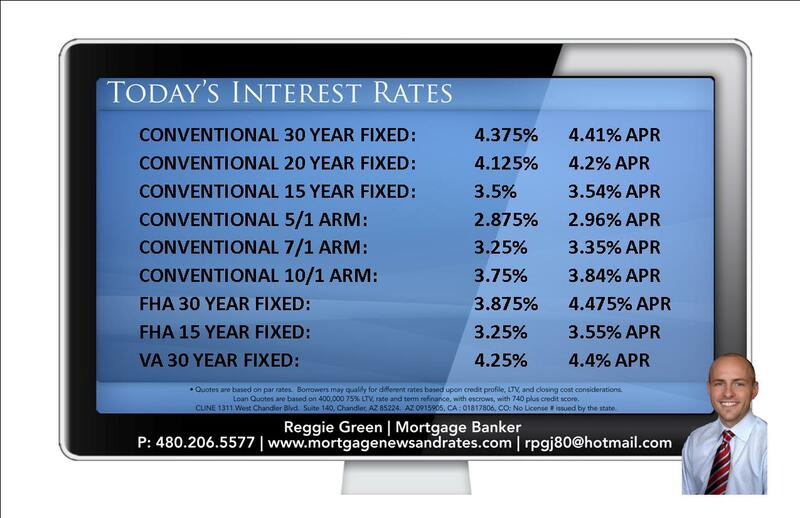 I believe in the long term, interest rates will continue to rise.